Is angling your passion ? 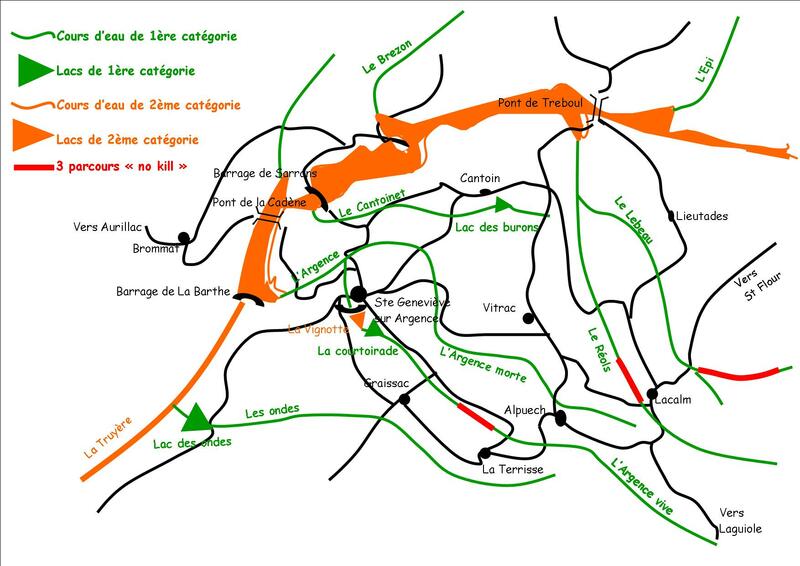 Argences en Aubrac and Cantoin are your destination! Are you looking for map information or a licence, fishing equipment, the whereabouts of lakes, rivers or streams? This page is here to help you. With its numerous rivers (the Argence, the Réols…), these bodies of water and the proximity of the Sarrans lake, the Argence area is undoubtedly a paradise for anglers. It is with great pleasure that we welcome you to adandon yourself to your passion, whether with a Fishing Guide, or alone. – A Fishing licence is essential and lasts from the 1st January to the 31st December. – all the other licences allow you to fish practically everywhere in France (all 89 departments). – Others species : minnows, gudgeon, crayfish. 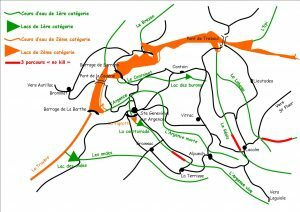 – Whereabouts: all the streams and torrents in the area (Argence Vive, Argence Morte, Les Ondes, Le Cantoinet, Le Réols, Le Lebeau), the Mels and Cantoin lakes, la Courtoirade lake. – Opening : from the 2nd saturday of March to the 3rd sunday of september included. – Trout : length : 20cm; 6 trout authorised per day and per angler. – Crayfish: fishing of native crayfish – strictly prohibited, signal crayfish permitted. – Other fish: carnivorous (pike, zander, perch, trout, catfish …). – Whereabouts: The Truyere, the Sarrans, Barthe and Vignotte lakes. – Trout: length 23cm, 6 trout authorised per day and per angler. Brown trout fishing prohibited during the 1st Category closure. Rainbow trout permitted all year round. – Pike: fishing prohibited from the last Monday in January to 30th April inclusive. – Zander: fishing permitted all year round. Length: 40cm. From the beginning of April to mid-June: breeding period. 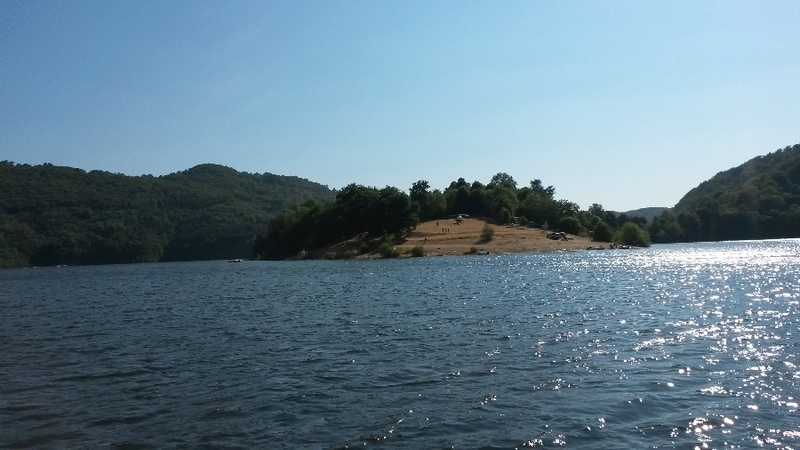 Three spawning areas have been installed in the Sarrans lake: no fishing is permitted there. – Pike and zander: 3 fishes maximum per day per angler. 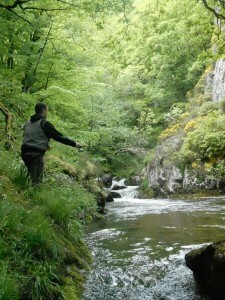 On this stretch, the only authorised technique is fishing using ariticial flies on unbarbed hooks. 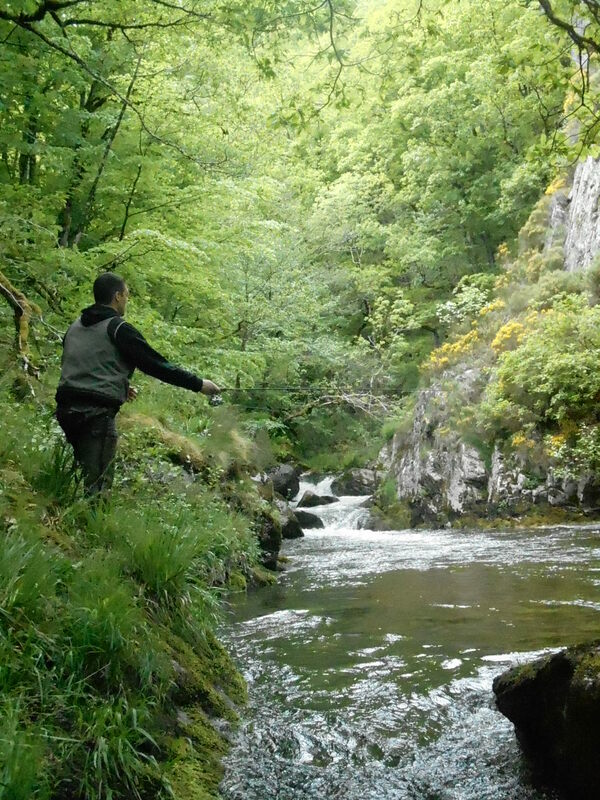 This method can be practised either with a fixed line or with a fly rod. Killing the fish is strictly forbidden, They must be returned to the water with the greatest care.